Okay, before we start with this article, we need to understand what a Benami Property actually means. You must have heard of this term several times. What comes to your mind when you hear this? Does it refer to a property that has not been registered in anyone’s name? Well, simple logic would say so! However, that is not the case. A benami property is an interesting concept. Let us explain it in layman terms and see what it really means. Suppose you want to purchase a bungalow. However, when you are making a purchase, you are not really purchasing the bungalow in your own name. You are purchasing it in name of your, say, sister. 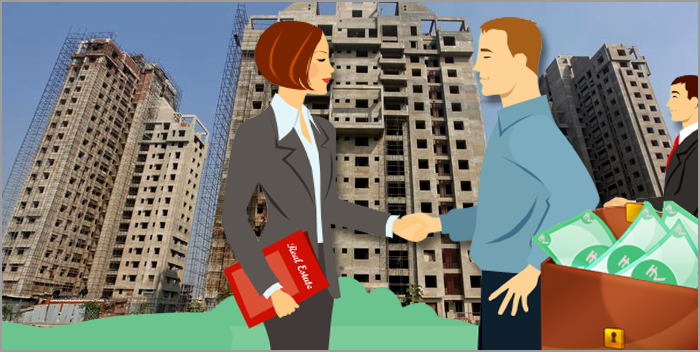 This property then is known as benami property because, you are the person who is the one who is paying the consideration value (simply put, the price of the property) but someone else is actually the owner of the property. It is not necessary that the person on whose name the property has been purchased has to be aware of the property. A property that is held by a person or is transferred to a person but the price of the property has been paid by someone else. A property purchase has been made using a fictitious name. The property owner clearly denies of any knowledge of transaction made or of ownership of the property in question. A person who made a payment for the property can no longer be traced. In India, transacting in benami properties is against law. Since it is illegal, penalties are also very stringent for those who are caught to be in benami transactions. The 1988 Benami Transactions (Prohibition) Act was designed specifically to deal with the problem of black money in India. The amendments which were made later to this act were also geared towards dealing with the problem of black money. Are there any exclusions to benami properties? If a property is purchased in name of a daughter who is not married or in name of wife, it is not a benami property. If a property that has been transferred and a contract (pertaining to the transfer) has been executed partly, the property will not be a benami property under the 1882, Transfer of Property Act. If a property transaction is a GPA transaction and there is a registered contract and even stamp duty has been paid, the property is not a benami property. GPA means General Power of Attorney. If a property is purchased with joint ownership using fund sources that are known and can be accounted for, the property is not a benami property. A joint ownership can be with wife, siblings, children etc. In case of HUFs or Hindu Undivided Families, the head of the family or the Karta decides to buy a property with the benefits of all trustees in mind, the property will not be a benami property. However, there are two conditions here. First, the money used for purchase of the property should come from a known source that is traceable and also, the Karta should be acting within fiduciary capacity. If an eligible benami property has been declared under 2016 IDS or Income Declaration Scheme will no longer be considered as benami property. How does law actually define benami property? We have partially answered this before but we will take it on in more details here. The rules for identifying benami property have been mentioned clearly. However, there may be certain properties which may or may not be benami. Classification becomes really difficult. How to deal with the problem? For example, will a property be benami if I buy it on name of my unmarried daughter or my wife? The answer is, it may be benami or it may not be benami. That is a very serious question. This is where the governing bodies will take a look at the intent or motive or purpose of purchasing the property. Let us start with a very small example that will help initiate the understanding process in the best possible way. Let us assume that you want to buy a property. What you do is you buy the property in name of your sister. However, your sister is not aware of the same. The property you purchase will not be used by your sister but you will on the other hand, use the property and enjoy the benefits. Your sister: Owner of the property but not aware of such ownership and hence, she is benamidar. You: Not the owner of the property but you will be enjoying the benefits. Hence, you are the beneficiary. Beneficiary ≠ Owner. That, beneficiary and owner are not the same people. Thus, the property becomes a benami property. Acquiring rebates on interests charged on home loans. Saving charges of property registration or stamp duty etc. Your wife or your unmarried daughter is not even an earning person! So, despite the fact that the property is in name of your wife or your unmarried daughter, its true owner will be you because the evidences surrounding the property will be enough to prove that the intent was savings and not just being a beneficiary of the property that someone else owns. So, the property will not be a benami property. Authorities will take a look at the source of the funds which were used for making the purchase of the property. If the property has been purchased in name of wife or in name of a daughter who is unmarried, the reason behind such purchase. The authorities will try and find out the custodian of the documents of the property. The authorities will find out whether you are earning any income from the property or not and if yes, whether you have filed that income under your income tax returns or not. The authorities will find out who is the real possession of the property or who is actually occupying the property. If the above inquiries lead to the fact that a person actually purchased the property in name of his wife or his daughter who is unmarried but the intention of such a purchase is not to hide any income or black money but to save taxes and other charges in a legal way, the property will not be a benami property. How does government take action against benamidar? These four authorities collectively work at different levels to take action against a benamidar. Now the first question that comes here is that how on earth will government come to know that a person is a benamidar? 1. The authorities will first send a notice to the person who can be a benamidar. 2. Depending on the situation in hand, the initiating officer may decide to keep the property on hold for a period of 90 days. However, in order to keep a property on hold, the initiating officer will need a permission from Approving Authority. 3. Once the notice period ends, the initiating officer may actually decide to increase the property holding time. At this point, the initiating officer will simply refer the case to the Adjudicating Authority. The initiating officer will have to provide various evidences and documents to ensure that the claim the officer is making is authentic. On the basis of the documents that the initiating officer sends to the Adjudicating Authority, the Adjudicating Authority may pass the permission to tag the property as benami or otherwise. 4. If the Adjudicating Authority passes the order for confiscating the property, the case will be passed on to the administrator. 5. An individual however can always go ahead and challenge the order of the Adjudicating Authority. The appeal has to be filed with Appellate Tribunal. If the individual thinks that the decision of the Appellate Tribunal is not justified and is incorrect, an appeal can be made with the High Court to get a resolution. Well, that’s how the confiscation of the benami property takes place. Now that we know the steps that take place, it is time that we take a look at the penalties that can be imposed on the benamidar. The benami property may be confiscated by the central government. It simply means that the property may be seized by the government or may be impounded. The benamidar may be imprisoned. Such imprisonment may be rigorous and the tenure of such imprisonment may be as low as 1 year and as high as 7 years. Apart from that, the benamidar may have to pay a fine of up to 25% of the property value where valuation is done at fair market value. Fair market value of a property means a price that a buyer would willingly pay without any kind of pressure to a seller who would willing accept that price without any kind of pressure. If the benamidar, once identified by the government, decides to provide false information instead of cooperating and then gets caught, he or she may be imprisoned for 6 months or up to 5 years. Such imprisonment will be rigorous and on top of that, there will be a double whammy in form of 10% fine of fair market value of property. The respondent or the guilty will have to face a trial in special courts, which are nothing up specified session courts. These courts are earmarked under Benami Transactions Prohibition Bill, 2015. It is always wise to declare a benami property and avoid the nasty penalties. Willfully disclosing all unregistered property and income sources will not only help a person to avoid imprisonment and financial losses but will also help him or her earn respect. Not just that, the Income Declaration Scheme or IDS that has been launched by the current BJP government led by PM Narendra Modi will also provide some immunity to those who have black money and yet willfully disclose the same. Why risk losing your property and your respect? Live a respectable life. Don’t think that government will not find out about your black money. Once you are caught, you will be totally… you know what we want to say, don’t you? The income tax department has implemented a new project, named Benami Transactions Informants Reward Scheme. Under this project, individuals who offer pertinent information about people who have invested black money in properties, in the name of another person, will be rewarded. Investing in property, in the name of some other person is a popular way to transform black money into white money. This way, these corrupt people also succeed in tax evasion. With this scheme, Tax department will be able to put a stopper on this corrupt practice. The identity of these informants will be kept confidential. If their information yields fruitful results, then these people will be rewarded by the Income Tax Department.